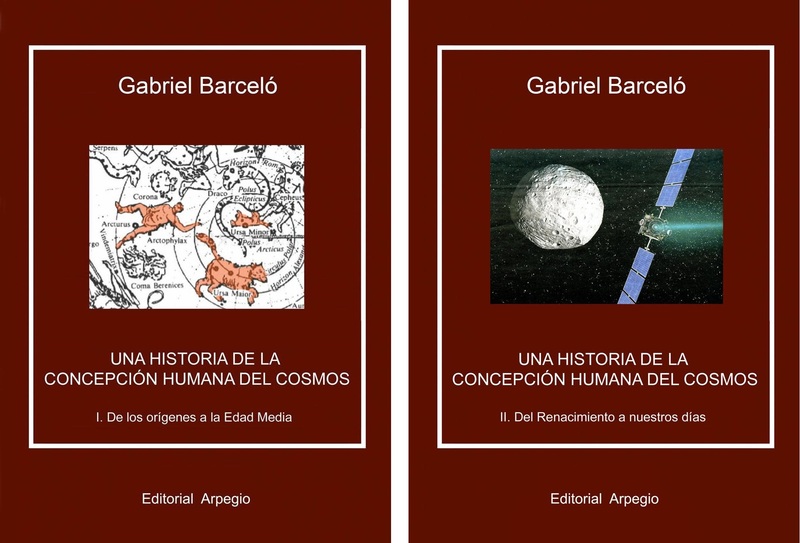 Imago Universi: La historia de la concepción humana del universo is a thrilling treatise of scientific dissemination that describes, in a fascinating way, man’s desire and passion to understand the universe. Moreover, it contains important personal and innovative contributions to the history of science. The author proposes the application of the Theory of Dynamic Interactions to astrophysics and, in particular, to the dynamics of star and galaxy systems. In each chapter, the author analyses the idea of the universe that was accepted by the scientific community of each period. This analysis traces the slow development of human thought, dominated quite often by observer errors, which gave rise to absurd and mistaken ideas, but ones that were accepted at the time. In the first volume, the author narrates the first hesitant approaches, observations and questions, the answers to which, always interfered with by different religious beliefs, revealed a natural ingenuousness, accompanied by an evident wisdom. In the second volume, the author continues with his analysis from the Renaissance to the present day, entering into the world of modern science, from the first heliocentric conceptions, still incipient, to their consolidation, development and dissemination, highlighting the great minds that made such extraordinary advances in human knowledge and fostered an unprecedented scientific revolution. We find ourselves, for example, before Galileo Galilei’s discoveries in astronomy, the beginning of the modern idea of the universe as propounded by Newton and the radical evolution of our image of the cosmos created by Albert Einstein’s theories. A parallelism is later established between the cosmos and the subatomic world, both areas governed by rotating systems. The most recent theories of physics are expounded, accompanied by descriptions of the latest space discoveries and we are given an insight into the current scientific ideas held about the cosmos. The last chapter of the book contains a new, innovative and suggestive idea of a universe in a state of constant dynamic equilibrium, based on hitherto unpublished dynamic hypotheses, which Barceló offers in an attempt to establish a more accurate view of our universe. The author-researcher applies his Theory of Dynamic Interactions (TDI) to the search for a greater understanding of the cosmos. This theory provides new keys with which to understand the dynamics of our environment and apprehend the dynamic equilibrium of the universe, which is the constant subject of rotation accelerations. Barceló also points out that orbiting always coincides with the intrinsic rotations of celestial bodies. A paradox that he highlights in his book, while at the same time indicating that this fact has hitherto been overlooked. The author calls for greater interest by the physical sciences in the examination of, and research into, non-inertial, accelerated systems and points to the need to develop scientific research programmes to assess and analyse these systems, until such time as the Theory of Dynamic Interactions is confirmed, generalised and, where appropriate, applied in a wide range of scientific and technological fields. This treatise bears the fruit of over thirty years of dedication and study in collaboration with other scientists and research centres. This book will prove to be a powerful tool in the hands of teachers and students like, opening up as it does wide fields of interest for those with scientific interests in cosmology, while at the same time representing an amazing and fascinating history of our knowledge of the universe. Indeed, it goes that one step further by offering a new structure of knowledge aimed at better understanding cosmological phenomena. The treatise was presented on 30 May 2013 at Marcial Pons bookshop.